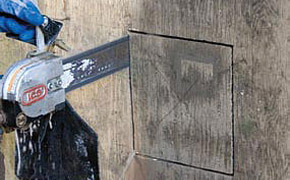 Various diamond sawing techniques are used to make accurate cutting through virtually any material including reinforced concrete and masonry. It is the most effective way to make openings for doors and windows, drainage or water pipe works, trunkings, lifts and for many other construction requirements. There are different diamond sawing techniques used by the contractors depending on the type of application and material to be cut. These different diamond sawing services including floor sawing, track sawing, wire sawing, deep sawing, and ring & chain sawing help construction businesses effectively cut through walls, floors and other kind of structures essential for their construction projects. Diamond sawing techniques, when executed by a skilled and knowledgeable diamond sawing services provider, can ensure more accurate results smoothly and safely. In this post, we will take a quick glance at 5 most common types of diamond sawing techniques, where each technique is suitable for a specific set of applications as well as challenges in the construction industry. The high-frequency, compact sized, track saws enable a single person to perform an entire operation alone that would have needed a team to accomplish the work. It is quicker and more affordable method for making new openings for doors and windows, create openings through floors and make cuts in demolition projects. These tracks mounted saws can efficiently cut through reinforced concrete, granite and brick materials with no need of stitching drill. It can cut up to 750mm in depth. 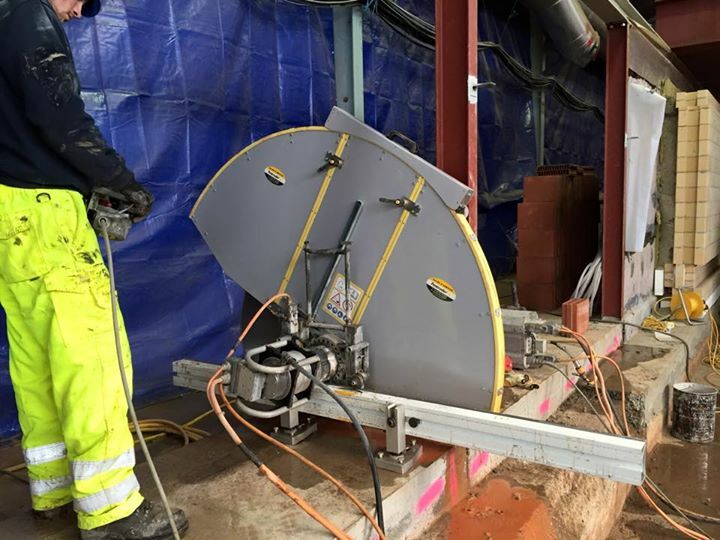 If the structure you need to cut through is too large for a track sawing technique, diamond sawing specialists prefer to use wire sawing technique. The technique involves the use of a wire rope imbued with diamond beads, which can be prepared to cut through any depth. This technique is mainly used to cut through large or complex structures with excellent precision. And it is mainly used to make large holes or remove a large construction into walls. Also known as handy clutters, these fumes-free, dynamic sawing machines are handheld tools used in indoor applications with confined space issues. Though small in size, these powerful tools can cut up to 250mm depth in floors or slabs. You will find both electrical and hydraulic chainsaws available out there each suitable for different worksite settings and applications. If you are short on time to meet the deadline and need more precise and sharp cuts in efficient, cost-effective and quick manner, floor sawing is worth considering. Floor saws are used for both indoor and outdoor applications. Some runs on diesel and some run on 3-phase electric supply. 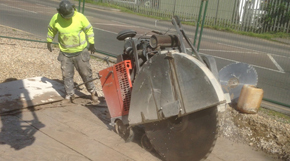 A diamond sawing Kent specialist can help you choose the right floor saw considering your project requirements. Floor saws can make a cut up to 500mm depth. The professional contractors can use these saws to cut through concrete slabs for various applications such as making space for drainage pipes and service ducts. Some saws can also be dismantled, which makes them a perfect fit for cutting applications in the restricted-access areas. Floor sawing technique doesn’t involve reinstatement work upon accomplishment, thus preferred in public areas such as supermarkets and hospitals. 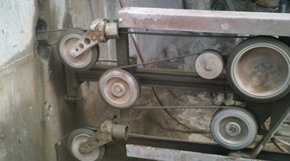 The technique is also used to cut asphalt and concrete in motorways repair or alteration projects. 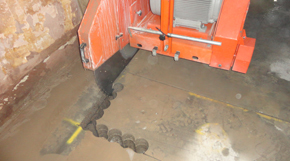 The deep sawing technique is commonly used to create space for expansions and joints, remove the old worn-out part of a pavement, and for the repair as well as removal of concrete sections in demolition projects. If you are looking for the best diamond sawing company, CA Drillers makes the right choice. We provide you with bespoke diamond sawing services customized to your project needs. We use most effective, efficient and environment-friendly sawing techniques for every project we undertake. Our diamond sawing operators are skilled and experienced to make precise cuts with no little noise, dust and vibrations. Want to learn more about our expertise in diamond sawing services, contact us NOW!